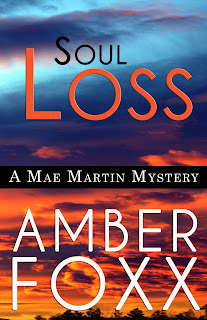 Please welcome fellow Sister in Crime Guppy Chapter member Amber Foxx to the blog today. She describes herself in alliterative style as a fun-loving, free spirit, who is flexible and funny. 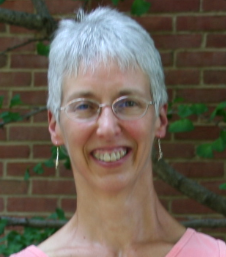 Her writing is unconventional, character-driven, non-violent, and suspenseful. Here are her answers to her chosen questions. The kitchen table when I’m in New Mexico for the summer. The view out the window is inspiring, since it’s the setting for most of my series, and I’m on vacation from my college teaching job. I’m productive during the academic year in my home office, but I get twice as much done during summer. During the summer the whole day is my most productive time, but especially the time between ten a.m. when I get up and have coffee and around noon when I go for a run. Actually, I’m quite creative while running, too. During the rest of the year my most productive time is at night, no caffeine required. I just finished an advance copy of the latest in J. Michael Orenduff’s Pot Thief Series, The Pot Thief Who Studied Georgia O’Keefe. I love this series for its local color. He gets the personality of the New Mexico and knows its culture and history. I love books that break with conventions and do it well. Hubie Schuze, the protagonist, doesn’t find the bodies or witness the murders, and he’s an offbeat hero—kind, eccentric, on the small side, and on the wrong side of the law when it comes to ancient pots. I enjoy the humor, the quality of the research—I always learn something new from a Pot Thief book, the ongoing characters that have started to feel like old friends, the complexity of the plots, and the fact that they’re as much about art, archaeology, love, friendship and some clever thefts as about murder. Virginia King. She writes an extraordinary series best described as visionary fiction. Her characters’ adventures are so intense, the suspense is nonstop though these are psychological mysteries rather than murder mysteries. I have profound dreams whenever I read her work. And as far as style goes, she’s one of the few writers I’ve come across who can use the present tense effectively to sustain tension without any clunky moments. Marion Eaton. Her mysteries work through layers of time, interweaving a centuries-past mystery with a twentieth-century one. They're set in a small village in the Romney Marsh area of England, a setting that comes alive through her marvelous way with words. Martyn V. Halm. I’m hooked on his Amsterdam Assassin series. This is not my typical reading—a thriller series featuring a female professional assassin—but Halm writes with a kind of Zen-like balance and clarity that makes this unlikely protagonist compelling. I’ve read every novella and novel in the series and while each one is a complete story, taken together they form an even bigger story. This level of architecture in plotting amazes me. He blends Eastern culture (one of the main characters is a martial artist) and Amsterdam life, wisdom and darkness, love and enmity, making these books thought-provoking as well as entertaining. The newest in the series, Ghosting, just came out. I get carried away. My first drafts are way too long. I’m trying to find my happy medium between plotting and pantsing, using a kind of plotting grid as I go along, making sure each theme and subplot stays on track, and yet allowing for a few undecided turns that evolve as I work. Even so, I still have to cut a lot. I make small changes that tighten each line, doing what I call the “cut revision.” I also cut subplots and themes that don’t work and scenes that can take place offstage but don’t need to be shown to the reader. The most recent work I released is actually a horror story, Bearing, based on a very scary Apache myth. 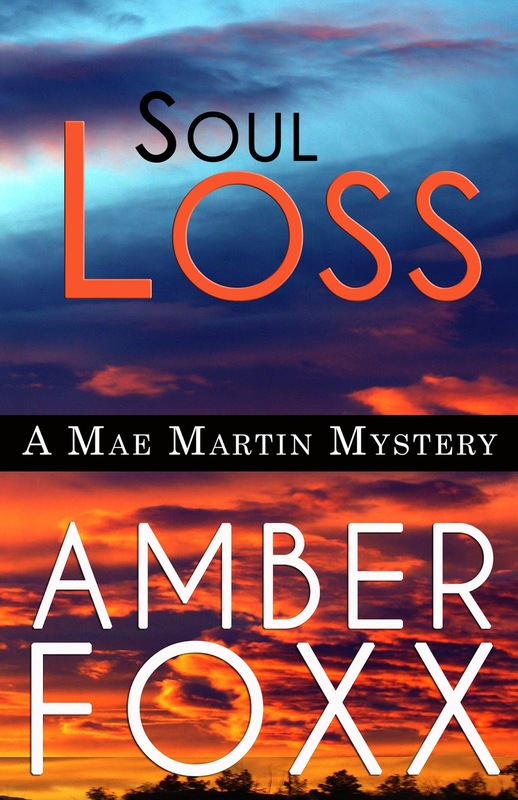 Soul Loss, the most recent book in my mystery series, emerged from years of reading about shamanism and from encounters with both quacks and authentically gifted seers in Santa Fe and elsewhere. Since the crimes in my books are never murders, I challenged myself to create the kind of mystery that only a psychic could solve. Mae Martin is intensely competitive—she’s been an athlete all her life and likes to win—but also a helper, sometimes too much so. This urge to take care of people is both her greatest weakness and her greatest strength. She was influenced by her maternal grandmother, a seer and folk healer, her father, a coach, and her mother, a nurse—a good caregiver in her professional life but not as a mother. Collectively they gave her desire to understand people and a curiosity about the world. I wrote a short story, The Outlaw Women, that’s a prequel to the series, which shows her family influences. It takes place when she’s ten, and shows her through her grandmother’s point of view. Other experiences that influenced her were marrying young to the wrong man and getting divorced, then remarrying to a man with two children and becoming a stepmother. In the first book, she finds a mentor who encourages her to explore her gifts and use them. Writing coach James Scott Bell says that a novel is always about the threat of death. It doesn’t have to be physical death, though it can be. The protagonist can be facing psychological death, professional death, the death of a relationship—but it has to be a threat from which she can’t turn away. Isn't murder-free mysteries an interesting tag? All of the Seamus McCree novels have a murder in them, although in one of them it doesn't come until the very end! Because some are traditional murder mystery, others more suspense or domestic thriller, I'm now just referring to them as crime novels.